Conflict resolving differences between individuals, small groups and organizations, but many of the same principles apply to the resolution of conflict between communities and even nations. Organizational conflict is a state of discord caused by the actual or perceived opposition of needs, values and interests between people working together. Conflict takes many forms in organizations. There is the inevitable clash between formal authority and power and those individuals and groups affected. 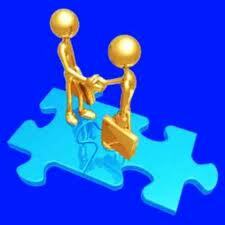 Employment relation is a study of conflict and cooperation between employers and employees. There are three traditional organizationsal perspectives which concern employee relations in the industrial relations. The aim of essay is to analyse differences in the view of conflict between these three perspectives, Unitarist, Pluralist and Marxist perspective in details, including the explanations, cause of conflict and the effect of trade unions. Finally, it will be argued that the pluralist perspective is appropriate employee relation for UK. The unitary perspective seems to be more suitable for nineteenth-century, while the pluralist perspective seems to be appropriate for contemporary society. (Rose, 2004) The organizations are characterised by a widespread distribution of authority, ownership separated and political and industrial conflict separated. The Pluralist perspective regards organization as combination of composed of a variety of sectional groups with divergent interests over which the government tries to maintain some kind of dynamic equilibrium. (Blyton and Turnbull, 2004) Organizations is seen as multi-structured in terms of groups, leadership, authority and loyalty. The two main groups in Pluralist perspective are works and managers. Because the different position these two groups stand, the purposes for working are different. In this case, conflicts are inevitable and legitimate, which due to the disagreement such as pay, working conditions, bonuses and working hours. Pluralists believe that the interests of their employees compete with the organizations interest and they believe this because they acknowledge the differences between different employees and different groups within the organizations. For instance, workers want higher salaries or better working conditions, but organizations need to reduce the cost in order to maximize the profit. Pluralist perspective managers recognise the conflict; hence they try to solve the conflict by appropriate methods, for example, negotiation and bargaining and sharing decision making information. Pluralism assumes that achievement of consensus and long-term stability in worker relations is the best way to balance the demands of competing groups. They should be willing to negotiate compromises. (Blyton and Turnbull, 2004) Pluralist perspective reflects a stakeholder model of power sharing and distribution. Although the pluralists recognise the imbalance of power existing in organizations, and single interest cannot control other groups, they need a third party to play a neutral referee role. Trade unions are helpful as representatives to express employee interest and countervail power to organizations. The pluralist perspective regards trade unions as legitimate representatives in order to make employees have authority to influence in decision making process. For industrial relations, pluralist perspective seems to be more appropriate than unitary perspective. Marxist perspective has been a tendency which prefers to focus on the politics of a society, according to Marx’s theory, while both unitary perspective and pluralist perspective pay attention on industrial relations inside organizations. Marxist perspective criticizes the capitalist society and its system of production, distribution and exchange. (Blyton and Turnbull, 2004) The critical analysis of the Marxist perspective includes social, political and economic structure. Therefore, this perspective has broader range than the other two perspectives since it not only analyse the relations in organizations, but also in social, political and economic terms. There are some assumptions made by Marxist perspective. Firstly, social class conflict promotes the society development. In other words, without the social class conflict, society may stagnate. Then, the distribution of economic power is not equal to the different class, so it causes the class conflict. Thirdly, the inequality is between the people who own the capital or materials and others who supply and sell their labour. Furthermore, the society’s social and political regulations are based on the economic inequality. And finally, the social and political conflict is an expression of underlying economic conflict. (Rose, 2004) For capitalism, continued economic growth is essential since it can guarantees profitability and accumulation. And advanced technology is also important for capitalism, because it can improve the productivity and efficiency, in order to gain profitability. The unequal division between who own the capital in the organizations and who sell their labour causes conflict, and Marxist believe conflict is constant and inherent within the employee relationship. In this case, within capitalism society, this kind of conflict is unavoidable and inherent, and also the political and social conflict and would result in revolution and the ascendency of socialism over capitalism. The employees’ salaries would be minimised to a subsistence level. Ultimately Marxists believe the only way resolve the conflict would be the abolition of capitalism. Trade unions, as a product of the conflict, may focus on the expression and protection of proletariat class. As a part of political process, trade union may gain the basic changes in the nature of economic and social systems. In UK, the appropriate perspective should be pluralist perspective. Every employees and employers has their own interests about work. Due to this reason, employees may not have common goal with employers. So conflict will appear. Unitary perspective regards conflict as irrational activities. That means unitary managers do not accept employees who has different working goals. Unitary perspective can only exist in ideality condition. In other words, however, unitary managers may find some employees who have common interests, but this group of people is minority. When conflict takes place, unitary employers may force to change the employees’ interest of work. This may cause the dissatisfaction of employees, even they quit the work. The worst is the organizations may close down. Furthermore, the unitary ideology could be regarded as being representative of views held by the nineteenth century and early twentieth century. The pluralist ideology reflects organizationsal and social changes happening in the mid-twentieth century to late twentieth century and extending into twenty-first century. This means that unitary perspective is less important and used more rarely in recent organizations. (Rose, 2004) Moreover, in the 1960s and 1970s, the business organizations in the UK gave considerable attention to their pluralistic, union-management – policies, since pluralist perspective is a pragmatic, effective alternative to the unitarist perspective. To accept conflict, it is a greater propensity for conflict rather than perfect harmony and it is easier to achieve. According to Pluralist perspective, authority is controlled by the mass of population, rather than by a small leader group. UK is a traditional country which focuses on the human rights. In this situation, the reason why the pluralist perspective is appropriate for UK could be argued into two points. First, pluralist perspective illustrates that if a majority of people do not like what their representatives or leaders are doing, they may make the representatives or leaders resignation through voting at the next election. Therefore, representatives or leaders should act in a way that satisfies the majority. This point will never happen within unitary perspective. Employees and employers who believe in unitary perspectives are sharing common interest, so even if employers do not satisfy employees, the employees always obey the order. 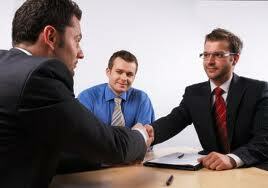 However, managers would not like to let the conflict take place; they try to force the conflict inhibition. Second, general election requests that individuals have to vote under a package of polices put together by political parties. So the irregular significance may not be accepted by pluralist individuals. And employees who are the voters may do not have opportunities to influence the issues that they concern about. In this case, pluralist perspective insists that employees could join in interest groups such as pressure groups and trade unions in order to protect this kind of authority. (Lewis, and Saunders, 2003) On the other hand, unitary perspective claims that the loyalty of employees may be reduced by the appearance of trade unions, while the pluralist perspective claims that trade unions can raise the loyalty of employees. Compare with Marxist perspective, the Pluralist perspective is more appropriate too. UK is a capitalism country. Marxist perspective is based on the proletariat and the bourgeoisie. And Marxist perspective believes the only way resolve the conflict would be to overthrow capitalism finally. Overall, government in UK tends to protect employees’ authority and welfare through reducing employees range to act as a collective. It means that the power of trade unions has been noticed by government successfully. So that individuals are being protected far better than previously. In conclusion, unitary perspective claims a single source of authority and all employees and employers sharing same goal in a harmony and co-operation environment. And it believe that conflict is non structural and frictional and try to limit it. Marxist perspective is a broad theory that criticizes capitalism for the conflict which is also inherent and caused by the economic, social and political system. Pluralist perspective in some aspects is in the middle of unitary perspective and Marxist perspective. Opposite to unitary perspective, pluralist perspective contains a widespread distribution of authority and inherent conflict. This perspective should be the most appropriate employee relation for UK.